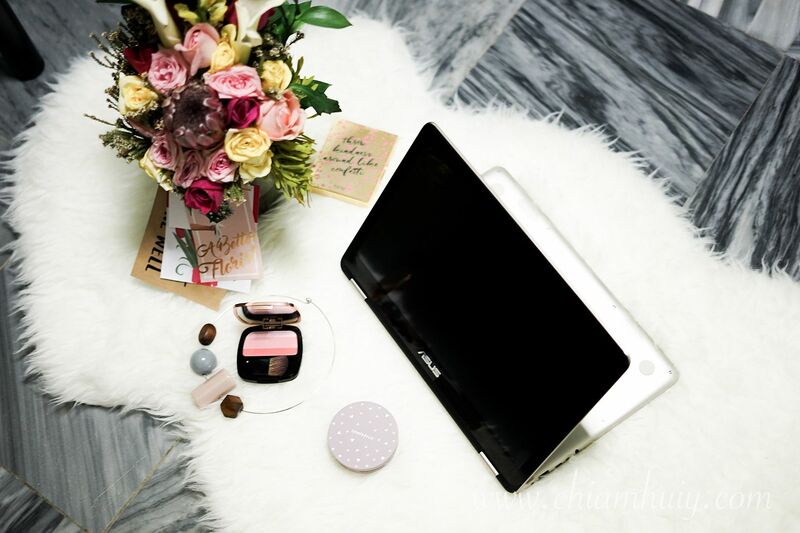 Many people ask me how I juggle my day as a working adult who has a full time job, and as a beauty blogger. My answer is usually quite standard - time management and a strong passion keep me going and allow me to achieve what I like to do. Whilst my weekdays are typically events right after my work, my weekends will be slightly more interesting. 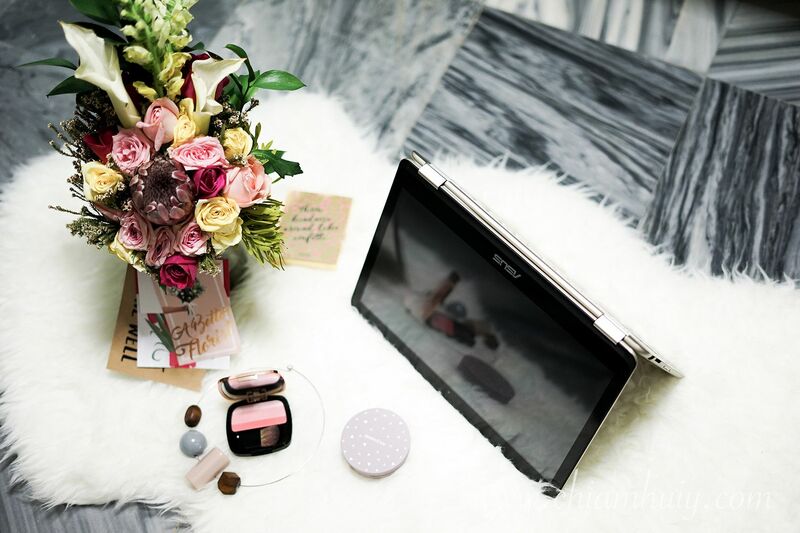 So let me bring you through a typical weekend in my life, what I usually do and how my new ASUS ZenBook Flip UX360 accompanies me throughout the day! I always start off a lazy weekend with a good sleep in. Embarrassed to say this but I actually can sleep in until 12 or 1 pm because I sleep reallyyyyy late either on Fridays or Saturdays. Weekends are meant to spend the night with my boyfriend, drinking with friends or colleagues and perhaps even watching midnight movies. Once I get washed up, I will start off with my flatlay. I don't usually have the luxury of time to sit down and take flatlays on the weekdays, because I have to work. My evenings are usually filled with events so there's really no time for that. In that case, I take flatlays on weekends afternoon! Sometimes, I like to do work outside. 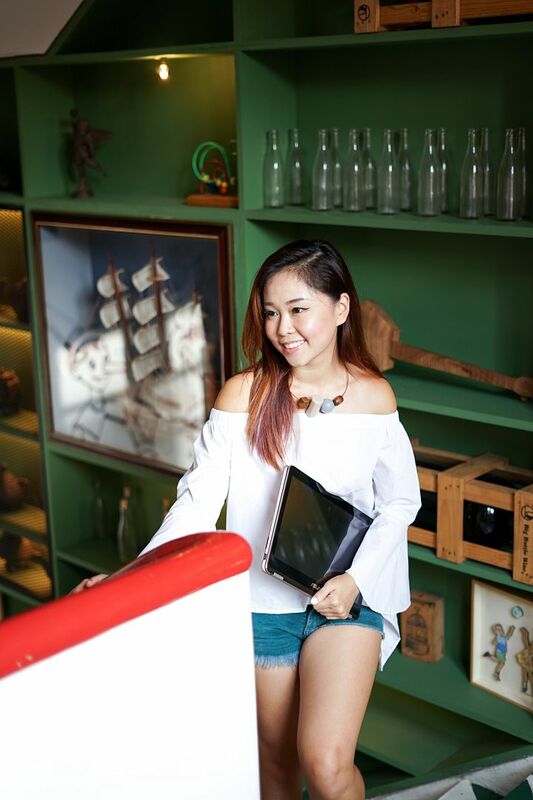 Recently, I'll bring along my new trusty ASUS ZenBook Flip UX360 because it's considered pretty light for a laptop and it comes with many great usability and multiple features. That Icicle Gold minimalist design makes it a stylish device to own, don't you agree? The ZenBook Flip UX360CA also has an Intel Core m ultra-low voltage processor, giving it a long battery life. 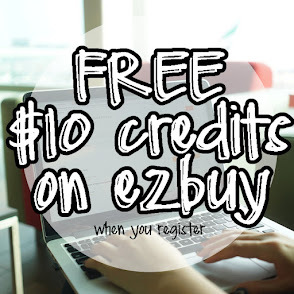 That means, longer usage without having to keep plugging into an electrical source! Although I do admit I took a while to get used to the Windows 10 Home (64-bit) operating system, I'm pretty sure I'll get the hang of it soon and make full use out of it. It has a 360-degree Flip Screen, which means it gives 4 convenient viewing modes. Like how you would normally use a laptop on a desk for work purposes. For those who always work on-the-go. Great for reading or drawing while commuting. Depends on your preference, you can minimize the space this ZenBook Flip occupies by making it into either of these two shape. 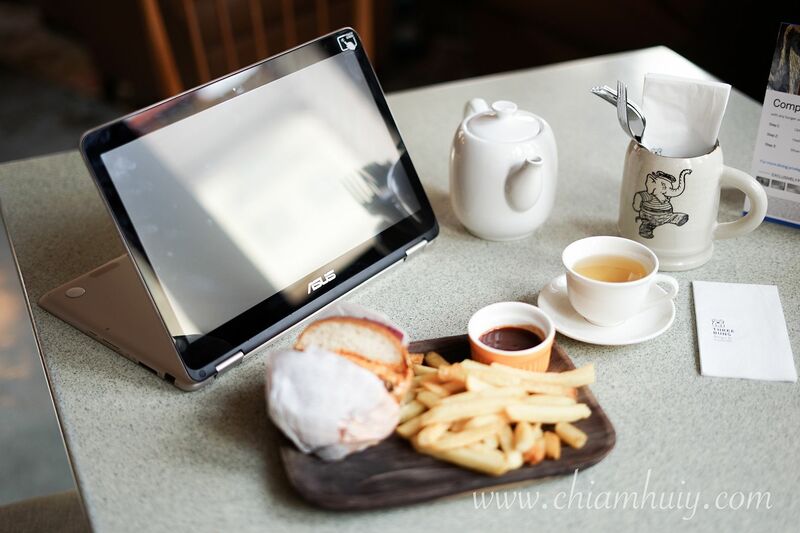 Such laptops come in handy when you don't have much space on the table, especially those in cafes! Honestly, mostly events. I find my after work hours usually filled with events where I have to attend and find out more about new launches, updates and catch up with the brands and PRs. It sounds tiring but it's actually very fulfilling at the same time. PRs and brands are like friends to me. We meet up, we chit chat and we talk about things we're both passionate about (PS: that's mostly about cosmetics and skincare hahahha). The versatility of this ASUS ZenBook Flip UX360UA let me make full use of this laptop in so many ways. When I'm about to get really serious and rush out a blogpost, I'll have to turn it to a laptop position because I need the keyboard. NEED. Speaking of which, I love the keyboard! Its large and smooth touchpad with gesture support is akin to that of macbooks. 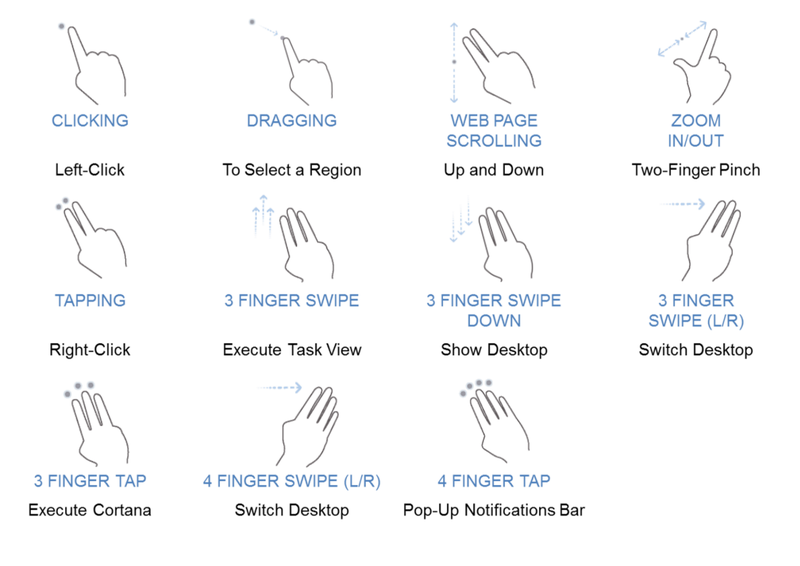 You can do swiping on the touchpad for easy navigation. An added bonus compared to what macbooks do not have, is their than 2x sensitivity fingertip sensors on their touchscreen. Giveaway: Would you like to win a ASUS ZenBook Flip UX360? 1. Like the ASUS Singapore Instagram page. 3. 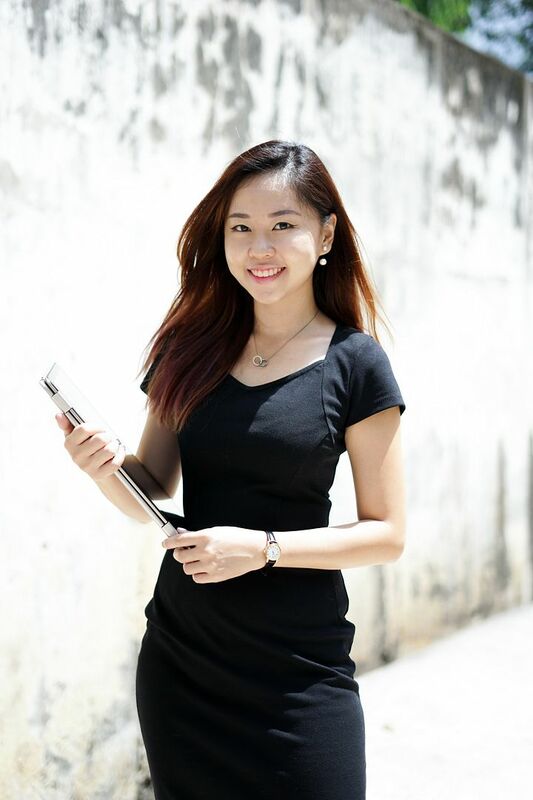 Use the #flipmyday hashtag and tag ASUS Singapore (@ASUSSG) in your post to enter! Don’t forget to set your account to public so that your entry is visible! Contest ends at 11.59 pm on 30th September 2016! Good luck! To me, this ASUS ZenBook Flip UX360 makes it great for working adults too. So light to bring around for client meetings. 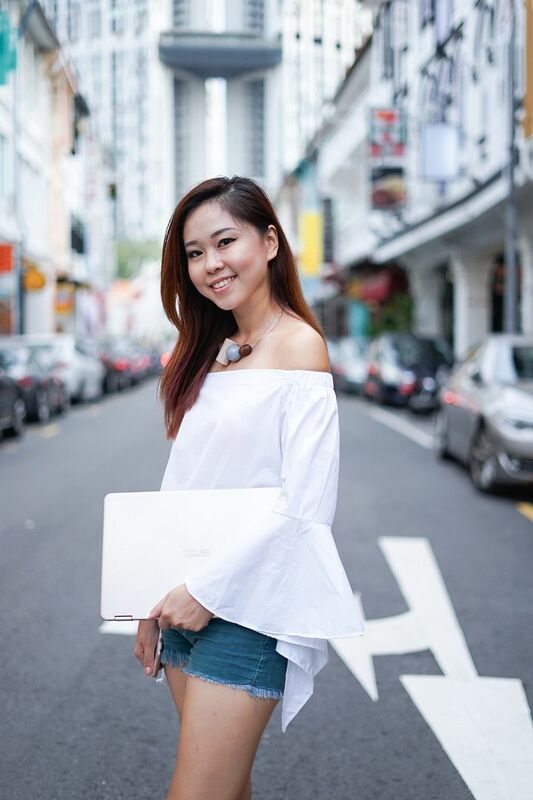 For more information about the ASUS ZenBook Flip UX360, do visit Asus Singapore.